Are Manufacturers Killing us with Equipment? One of our friends recently wrote the following comments. I thought it was poignant and worth a more in depth look. You could opt to stick with one brand. Generally speaking, it’s pretty easy to see the purpose of the equipment as you go up and down a manufacturer’s lineup as opposed to trying to fit a piece from this brand and hope it fills a gap from another. I know some of us like a certain piece from a mfg, but then don’t have interest in other pieces. You can do what you want, but you will be adding to the confusion. Take advantage of demo days. It’s unacceptable that lanes aren’t oiled properly for a demo day. However, assuming this is not an issue, it’s one of the better ways to get a feel for the ball roll and whether you will like it or not. I’ve found it difficult to determine how a ball fits in my arsenal this way since the physical fit of demo balls tends to be off. Most of the time, I found a ball to be much stronger than I expected once it’s actually drilled for me. Watch videos and read about the balls. I know you have good experience. While we may not be the ones actually throwing the ball, if the bowler has similar revs, speed, tilt and rotation, you are likely to get a good feel for the ball roll. I could usually tell if I’m going to like the ball based on that. Again, it takes a bit of an experienced eye, but we can try it. Ebonite Blueprint. Ebonite happens to try to solve this problem for us by offering a software that can let you see what the ball will do through simulation using your specs. It’s not the same as throwing it nor will it give you a “read” on the ball roll. 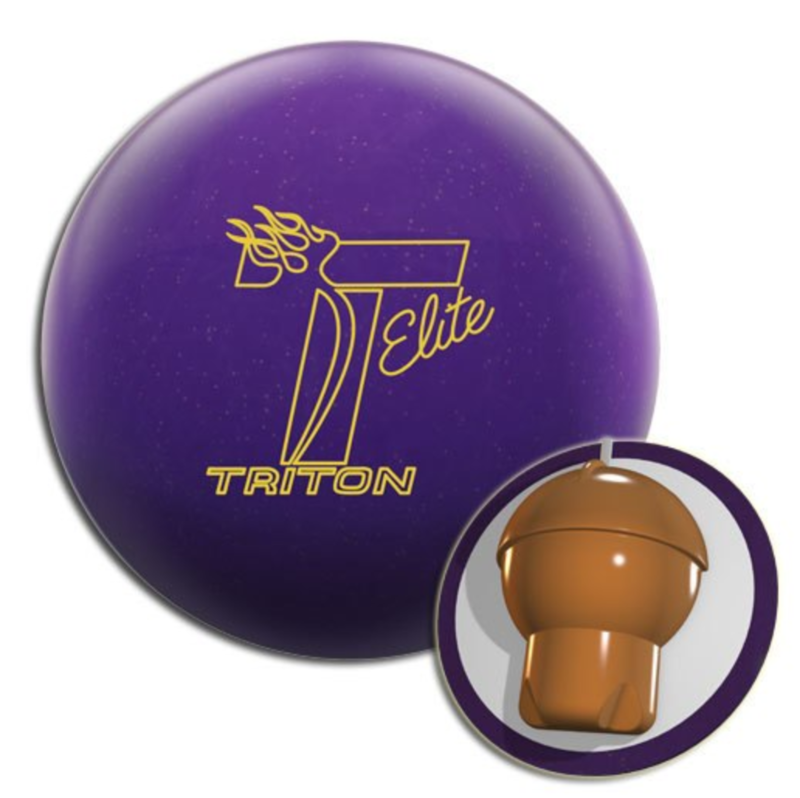 It’s also only available for the Ebonite International brands. Maybe a good reason to stick with their brands for those that are already using it. Ask. We at TamerBowling are available to you. Your proshop operator is available to you, hopefully. Manufacturers are very open to taking technical questions about their equipment. Stick with what works. Yes, new equipment comes out all the time. However, given the amount of reuse of technology, you can almost always find what you’ve thrown before. Stick with drills that work for you. Experimenting too much could simply lead to frustration over a ball’s motion. Even if it may have been the right ball if drilled correctly, most of us are soured on a ball after first impressions. For example, I had a lot of success with the Storm Furious. The same core is now in the Tropical Heats. Guess what, the new Tropical Heats still work amazing for me. Why not get one? My old Ebonite V2 was my favorite ball of all time. Gamebreaker was re-released and I picked one up. Guess what, it still works. Sometimes reducing the variables is key. I’d like to respond to your question by saying Coach T is giving you a lot of good advice, please consider it when looking for guidance. I’d like to give you some additional considerations, that is, how you can narrow down your choices, in choosing a benchmark ball. What follows are my suggestions for a league bowler on a THS. The first thing you need to do is know who you are as a bowler. It really starts here. Are you a stroker, tweener or power bowler? What’s your A game? What portion of the lane do you typically play? What’s your rev rate? Are you up the back, up the side, or do you twist the ball off your hand? Are you a squeezer? Do you loft the ball? Do you know your PAP? What level player are you? Are you left handed or right handed? Are you speed dominant, rev dominant, or is your rev rate and ball speed matched up? What kind of swing do you have – does it go behind your back, bump out, or does it line up with your focal line? What center do you bowl in? Are you familiar with the oil pattern in the center and how much volume they apply to the lanes? Does the center have a skid/flippy ball reaction, or is it smooth and predictable? Is there hold if you miss in? Is there an out of bounds or does it not batter how much you miss to the outside? Are the back ends dry? During transition, do the lanes open up, have carry down, maybe both? Knowing the answers to these and more questions is a great starting point. Let me use myself as an example. I’m a stroker with a rev rate no higher than about 300. My A game is down the boards. My preference is to play in the track. My rev rate and ball speed match up. I’m left handed (so I guess I’m disliked already). My average depends upon the center I bowl in. I’ll average 230+ in a high scoring center, around 220 in centers where carry is more difficult (I guess that makes me disliked even more by right handers). I’m a bit of a squeezer when my timing is early, a tendency at times in my game. I don’t loft the ball, unless my timing is early or my swing bumps out. I come up the back of the ball with some axis tilt. I bowl in two centers, one high scoring and the other that is more difficult to carry in. Now think about equipment. Generally speaking, the lower the RG, the faster the ball will go into a roll. The higher the differential, the more it will hook. The high end stuff offered by ball mfrs tends to possess these attributes, but their low and mid end lines tend to have a higher RG and less differential. Remember, these are general statements. With these factors in mind, I can narrow down my choices. First, I can rule out the high end stuff as a bench mark ball. It wants to hook too soon after it comes off my hand and roll too quickly. To offset this, I’ll need to move inside and wheel the shot. My A game is down the boards, give or take a 2-3 board swing in the shot. From where I play the lanes, the track, there just isn’t enough head oil to make the ball hold the line until it gets to the break point. If I start with a high end ball, it will find its way into my bag by the end of the first game, sooner if there are more lefties on the pair. This brings me down to low to mid grade equipment. I tend to select a benchmark ball in this area. There are still too many choices. To narrow it down even further, it would be helpful to consider which balls you used in the past with which you had your best seasons. See if there is a trend, maybe a ball from a particular mfr stands out. This may help you select a ball from just one mfr. If a trend by mfr doesn’t present itself, consider the type of ball you’ve used with which you had your best seasons. Hopefully, a type of ball stands out. This will help you narrow down your chioces to only those balls from each mfr that meet this criteria. Usually, a particular type of ball or mfr trend will result from this consideration, and you can really narrow down your choices. Using myself again, I’ve had success with Storm, Columbia and Hammer, of late, mostly Storm. They tend to go long and finish strong. I prefer this because I like to go direct to the break point. When I am matched up, I can repeat my shots with annoying regularity, particularly against right handers with high rev rates, who will walk away grumbling how this stroker, old enough to be their father, can hang with them (I take so much abuse from right handers, I just had to get in a small shot of my own – it’s fun!) 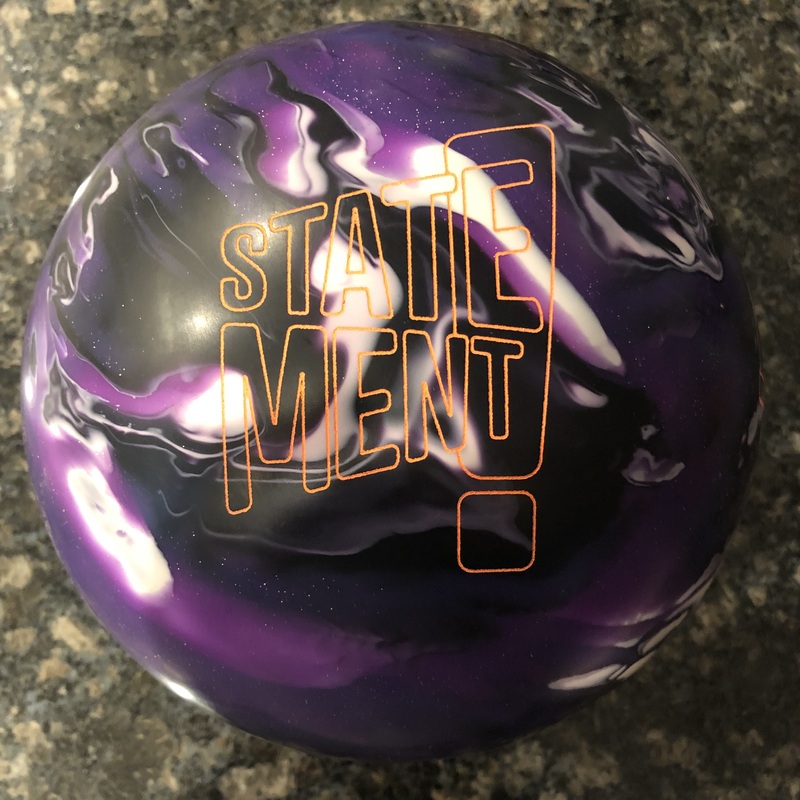 But seriously, knowing your game, what portion of the lane works best for you, and the type of ball reaction you will get from the center you bowl in will help you narrow down your choices. Last season, I used a Tropical Heat Hybrid at the higher scoring center. It worked great and it was a fun season. It’s time to replace it and I am considering replacing it with another Tropical Heat Hybrid, the new one being introduced by Storm. Another ball will need to be a pretty compelling choice for me to select it over the Hybrid. I’ve already spoken to my pro shop mechanic about my options. We’re in a wait and see mode with so much equipment coming out over the next two months, I believe around 30 balls (I agree, it’s way too much). For my other center, it’s more difficult to carry – lots of corners for both right and left handers. The back ends are real dry, so the center tends to be skid/flippy. It’s more sensitive to the quality of one’s release and ball speed. Transition is usually carry down. This house generally calls for weaker equipment to be used from the start and then ball up for transition, usually with a line change, to combat the carry down – I’ll need something that rolls sooner so it plows through the mess down lane. As you can see, this center calls for me to employ a different strategy and with it, a different benchmark ball for consideration. Ironically, one thought is to bring the Hybrid I used last year at the higher scoring center to this center, because it has between 150 – 200 games on it. Equipment that has a lot of mileage on it tends to have a smoother reaction at the break point, which may be a help with the aforementioned center’s characteristics. I ran my thinking by my mechanic and he said it’s a reasonable thing to do, but he suggested if we go this route, we ought to resurface the ball (and remove the oil aborbed in the coverstock – probably a dawn detergent bath). Another option is a new ball but one that won’t jump too much when it enounters friction down lane. A smooth reaction is recommended, this way, I’m less likely to leave a split or a cluster of pins for a spare. In the end, I haven’t made up my mind but, for both centers, different strategies will apply, with different equipment for each strategy. I’ve already narrowed down my options and have an idea of what I am going to do in each center. My decision is much easier in the higher scoring center but not so easy in the more challenging one. If I were to lay odds, I’m likely to end up with another Tropical Heat Hybrid for the higher scoring center and, for the othe center, possibly the Hybrid with a lot of mileage on it. My pro shop mechanic can be full of surprises, because he’s so much more knowledgable than I am, so I’m not locking in on a particular ball choice strategy, because he may see something that will work as well or better than what I am considering. I hope laying out the considerations one should have in mind, from knowing themselves, the centers they bowl in, how they play the lanes, the equipment they’ve bowled well with in the past, and using myself as an example, helps one narrow down their choices, so that they can make an informed decision with their pro shop operator. In the end, narrowing down their choices may still come down to about 4 or 5 balls, any one of which will work because they possess similar ball reaction characteristics. At this point, you pick the one you like best based on some arbitrary consideration – how pretty the ball is, maybe the mfr because you are confident in them. Before closing, I’d like to stress that a bowler’s pro shop operator needs to be someone they trust, who is knowledgable and who knows more than their customer; only then can they be a help to you. They will make these and more considerations when determining what ball you should use. Nobody is perfect, and they won’t be either, but they should possess the ability to determine what is the “right” ball for you, because they know who you are, your tendencies on the lane, the center you bowl in, and what portion of the lane you tend to play when you are bowling well. Good luck – I hope this helps. PS – sorry for the long response but there was a lot of ground to cover. Your game and mine are really similar. I avg-ed 225 on the somewhat tough house shot. I could not kick the soft 10 out. 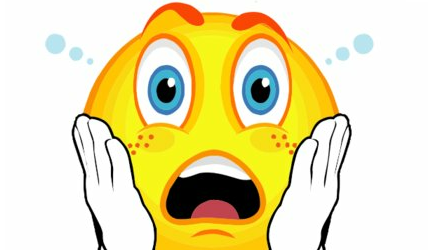 I avg-ed 198 in my PBA-X league. We used the Team USA patterns, which seem to play tougher for me than the PBA patterns. Coach and I have been bouncing ideas around for several months on how to play the house shot for me. 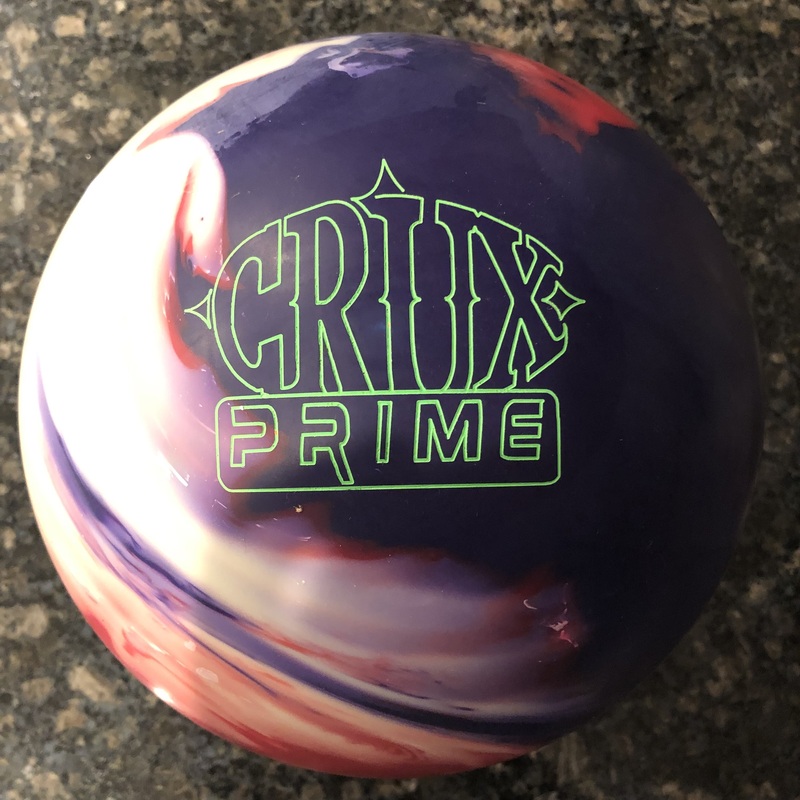 Ebonite Mission, Ebonite Gamebreaker, STorm Reign Supreme, Storm Marvel Pearl, Storm Tropical Heat Hy, Columbia Eruption, Columbia RAnsom, Columbia Freeze, Hammer Taboo, Virtual Gravity, Virtual Energy. Thru the process of elimination I have come to believe that the weaker stuff is better for this house. The balls that have worked the best have been Gamebreaker (by far), then the Freeze, then the Eruption. The Gamebreaker is a very very worn out ball. It has well over 500 games on it. An Ebonite staffer gave it to me after he had used it for a full season, way back in 2009. Then it was my main ball for 2 more years. It is really oil soaked. Apparently the oil logged-ness is the reason it works so well. Coach T is surprised that the Tropical Heat Hy did not work better. I had that thing drilled 5″ pin, w/ a 30 degree VAL angle. Puts the pin above and in between the finger holes. For whatever reason, that ball just would not retain enough energy. Seemed to hit very flat. Flat 10. Move right. Leave a 4 pin. Move left, leave a 2-4-5. stay in same place leave a flat 10. Maybe get a solid strike in there somewhere. This pattern played out with almost all the balls except Gamebreaker.. So why not use the GAmebreaker and be happy? Too many flat 10’s for my taste with it too. I have a ball spinner too. I have tried all kinds of different surfaces and polishes with varying degrees of success. The local pro-shop guy recommended I get a Storm Victory Road (original Pearl). I don’t think that would help. I am not alone in this situation. Many of my peers in more than just this house have complained about this. So this is my paralysis by analysis situation. I will likely not buy another ball for quite a while. Most of what I have does roughly the same thing. Differences are more pronounced on the PBA-X shots of course. My pal just bought a Storm Modern Marvel to fit a spot his arsenal. He is pissed off because the MM is not turning out to be what he thought it would be. My buddy and I are both good bowlers. We both work in the Info Tech field. We can do data and we can do analysis. We are good enough to know when we have thrown the ball well and when we have hit our targets. Yet we are still able to blow $225 on a Modern Marvel or other rock that sometimes does not match up w/ expectations. Good discussion. I hope the ball co’s hear my bitching about it and take head. Coach also mentioned Blue Print. I did the trial and it looked really cool. But I do not own any of the 4 balls that came w/ the Blue Print trial. None of the pro’s I know carry it either. So, hard to tell how close Blue Print would be to my actual results. PS. John you asked about my house. It’s anvil-lane. Fairly new. Fairly low friction. pattern is 38 or 39 feet (can’t remember exactly). Christmas tree layout. There is a slight OOB around 4 board to gutter. It’s not OOB, but the oil is flatter out there. Best pocket percentage and carry for me is usually left foot sliding on 20-22 board w/ ball going around 11-12 board at arrows. My game is very simple. Norm Duke would be who I most resemble. If anything I would say that this house tends to be a little over/under type of reaction. It is easy to go high, make a move, go high again, make a move, then leave a 2 pin. 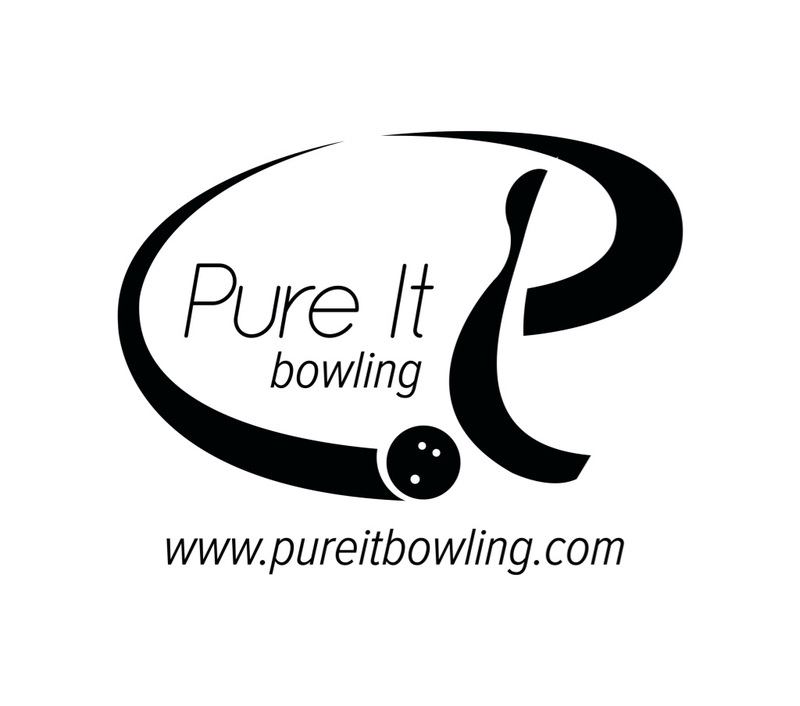 The most successful bowlers in this house throw hard w/ strong equipment or have lower rev rate w/ weaker equipment. I cannot seem to thread the needle between these two types. Sometimes a straighter line works better for me and sometimes swinging the ball hits better. My gut tells me you are at a place where some physical game modifications may be necessary to get your ball to work. A good example is the most recent US Open. Pete Weber needed to make a ball change, I believe to a Fringe (might have been a Frantic), because the other ball he was using was reading too early. With the ball change he got back to the pocket but carry became an issue. It was here when Randy Pedersen said that Pete needed to finesse the shot more with hand to get it to face up properly to the pocket. This isn’t easy to do – most bowlers have one or two releases and that’s about it. The flat 10’s you are leaving may be solved by giving the ball a bit more hand. I’ve seen a former touring pro solve this problem for himself by cocking his wrist a little, move a little deeper with his feet, hit the same target and send the ball a little wider at the break point. The added tilt from his hand position helped the ball go longer but the drier boards down land helped it peel of the break point with a lot of force and he started to shred the rack again. However, it’s one thing to observe what one does but it’s another thing to be able to replicate it. I feel for you because you’ve gone from ball to ball to ball looking for a solution but you seem to be caught in no man’s land, i.e., move left – 2-4-5, move right – 4 pin, stay where you are – flat 10 pin. Generally, the correct adjustment is to change equipment and either ball up or down will work, depending upon how you play the lanes and how transition has affected the shot. But when ball changes aren’t working, and surface changes and line adjustments aren’t either, one is compelled to go back to their flat 10 line and try to finesse the shot. The pros are quite adept at doing this, the rest of us are not but I believe you are at this point. If you don’t mind parting with a few bucks, there is a Fred Borden instructional DVD, in which he talks about the kind of physical game changes one can make when it’s needed. Ken Yokobosky demonstrates them. He moves in and loads up the shot, he plays the track with a flat wrist and he plays outside with an unloaded wrist. He does this with the same ball on the same pair of lanes. Granted, he’s a former touring pro but it was impressive to see and it showed me what bowling 100 games a week can help a bowler learn how to do. Is it any wonder why Norm Duke is so good?! He makes these changes without any concern for the outcome. He’s won tournaments on TV doing this. I don’t know if this will help but it seemed to be the one thing not mentioned in your additional comments above. Good luck and keep the faith – eventually, it will work out!!! PS – you’re right, although you are right handed, we seem to have similar games. I have softer ball speed than you, probably 15 – 16 mph, but this matches up well with my rev rate. I get my equipment to read the lane and hit well enough to carry most of the time. Compared to the power guys, my mixers are in slow motion, especially my messengers, which are not only rare but usually require a slow rack. I think you are right John. I am going to have to try physical game adjustments. Namely more speed. I have been working on this during the summer. I had tried the slow hook approach, moving deeper, last year. It worked sometimes and not others. I did manage to shoot 300 doing the slow hook. But more often I would get inconsistent reads of the lane. If get just a pinch too fast the ball will not pick up and will (you guessed it) flat 10. Or worse I would leave a swishing 7-10.